22 May 2010 marked the end of an era on Britain's railways, with the withdrawal from the national network of the last slam door EMUs. For five years after the removal of all other 'slammers', two Class 421 3-CIG units had operated the Lymington Branch in glorious isolation. their time finally ran out on 22 May, and crowds of photographers descended on the New Forest to witness the spectacle for the last time. 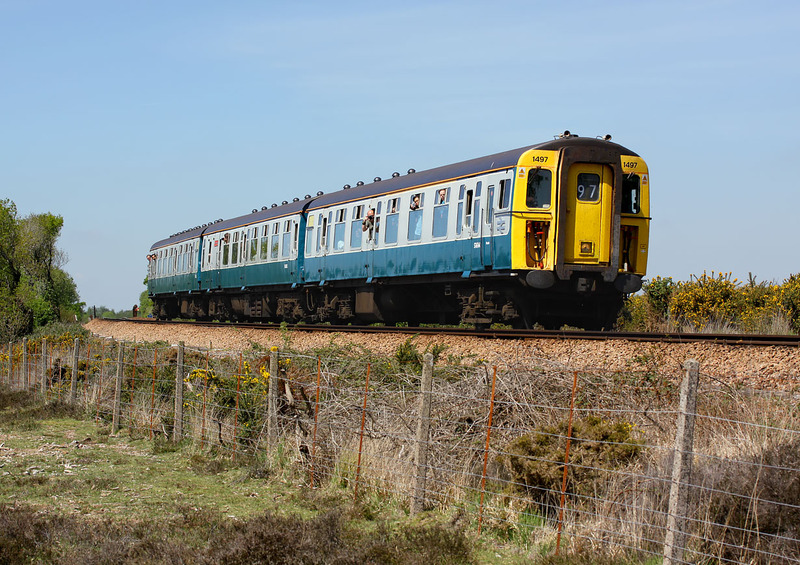 1497 Freshwater passes Milking Pound Bottom, near Battramsley with the 13:59 Brockenhurst to Lymington Pier service.